Diving champion Greg Louganis ’81 took home gold medals in springboard and platform diving at the 1988 Olympic Games in Seoul, South Korea – matching his 1984 Olympic performance. The feat marked the first time a competitor had swept both diving categories in consecutive Olympic Games. 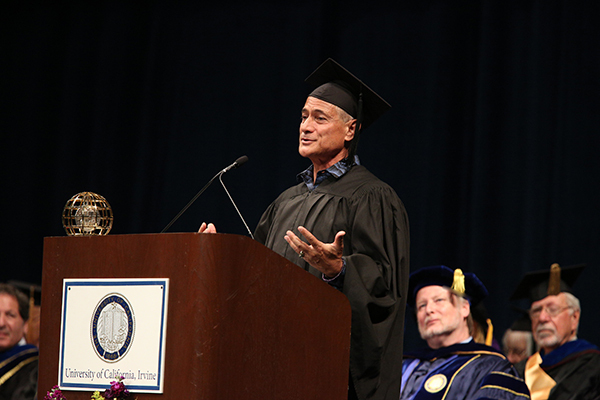 Greg Louganis ’81 wins gold in springboard and platform diving at Summer Olympic Games in L.A.